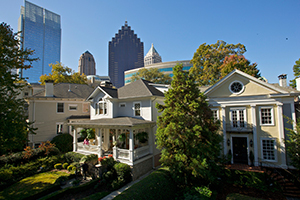 Midtown offers a wide choice of housing options, from “vertical neighborhoods” -- new hi-rise condos and apartments to historic and established neighborhoods. The number of residents in the center of Midtown has more than doubled in the last 10 years, and Midtown continues to be a thriving location of choice for intown living. Currently, in addition to 13,000+ existing residential units, there are 8,000+ new residential units under construction or about to break ground within greater Midtown, with most of these in the Midtown core. Midtown residents love being close to everything in a community with a range of cosmopolitan amenities with easy access to the largest concentration of greenspace in the city, arts, attractions, shopping and dining. Find your place to call home.